One person was reported to be trapped in their vehicle following a crash near Hayle Rugby Club this afternoon. Police officers and firefighters were called to Marsh Lane, near Loggans Moor Roundabout, at about 1pm today – Thursday, January 24. 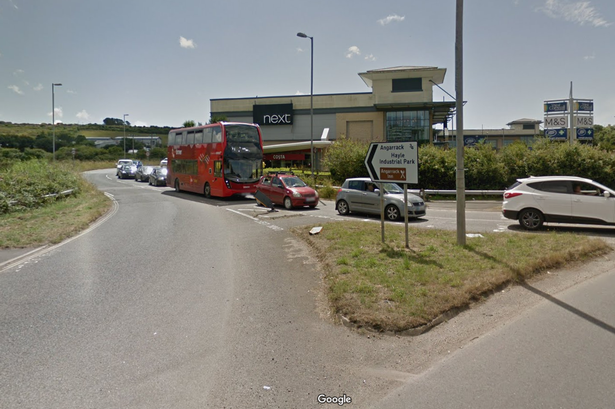 A spokesperson from Devon and Cornwall Police said the force received reports that an individual was trapped inside one of the vehicles and requested that firefighters attended. They added that there were no reports of any injuries. At 2.30pm, police remained at the scene waiting for the vehicles to be recovered. The road has been partially blocked following the collision, which appears to have involved two vehicles. There have been reports of slow traffic in the area. UPDATE: The road is now clear.